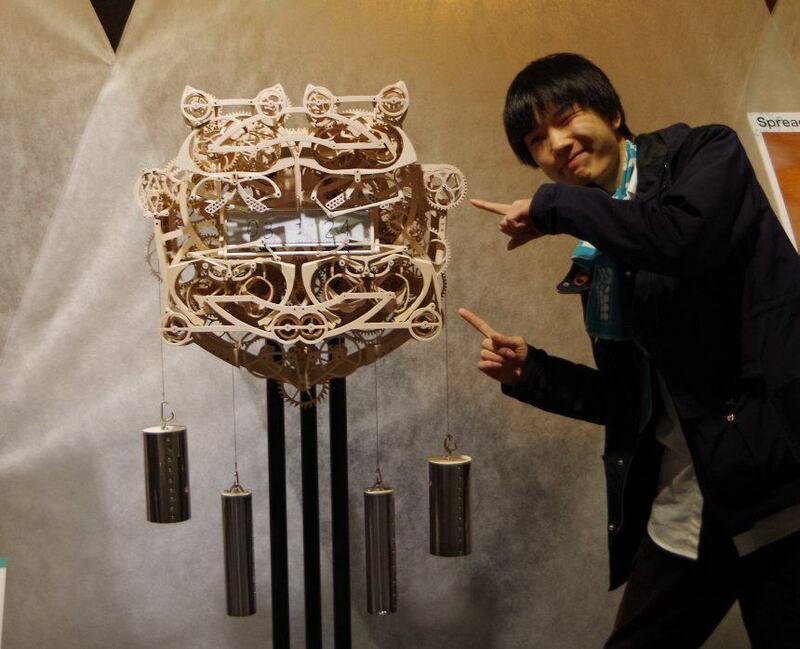 This is clever as hell art student Suzuki Kango and his functioning 407 piece, hand carved, wooden clock… powered by weights… that writes the time. I impress myself when I don’t burn the toast, so Suzuki is in a whole other league. Plus his name is also a brand of motorcycle, so chicks must dig him. 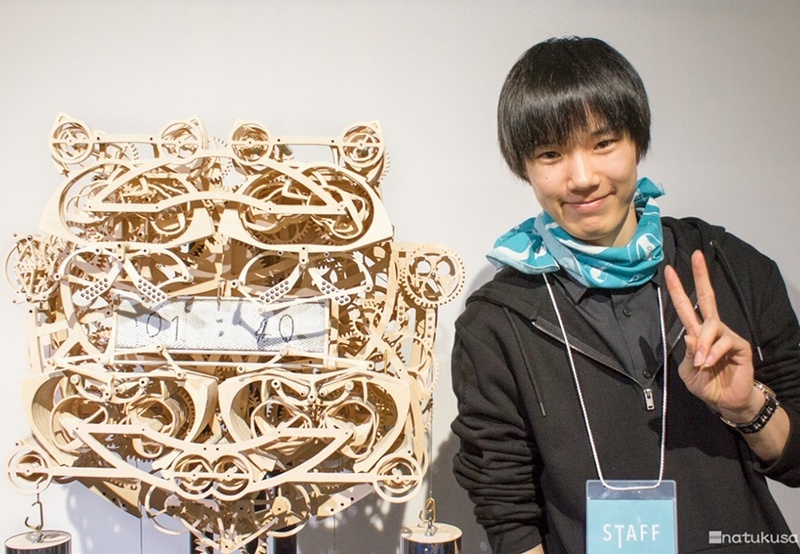 With over 400 moving parts, Suzuki’s senior thesis exhibition project uses four magnetic stylus pens on a magnetic drawing board to mechanically write the full time, every minute, in 24-hour format. Truly a working piece of art. 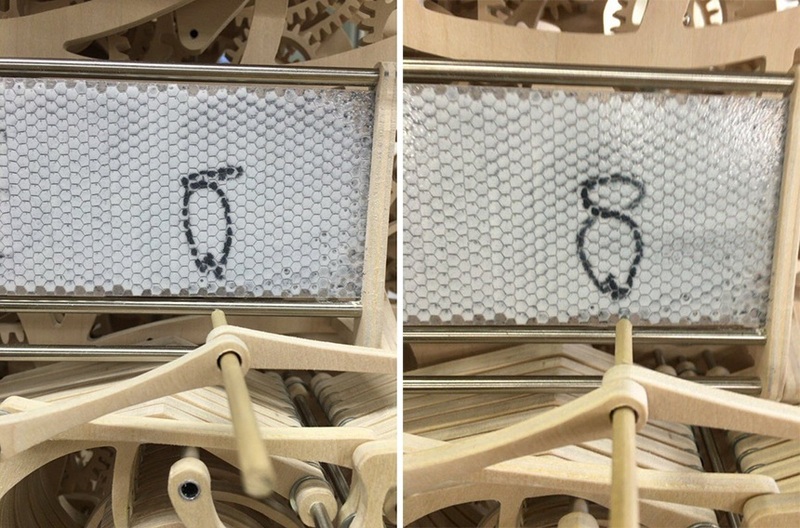 The project’s name is “Plock,” a portmanteau of the English words “plot” (as in, “to mark or draw”) and “clock” (he also refers to it as kakitokei, or “writing clock” in Japanese). 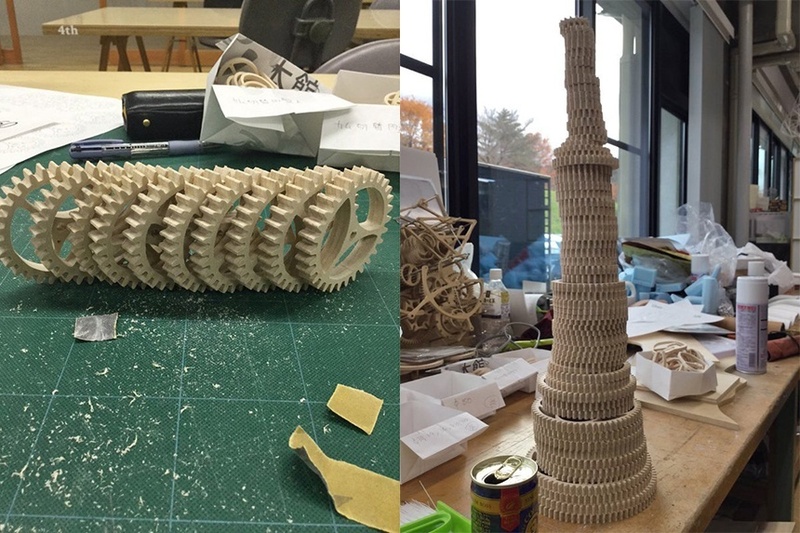 It took some fine tuning to get the numbers to look right. 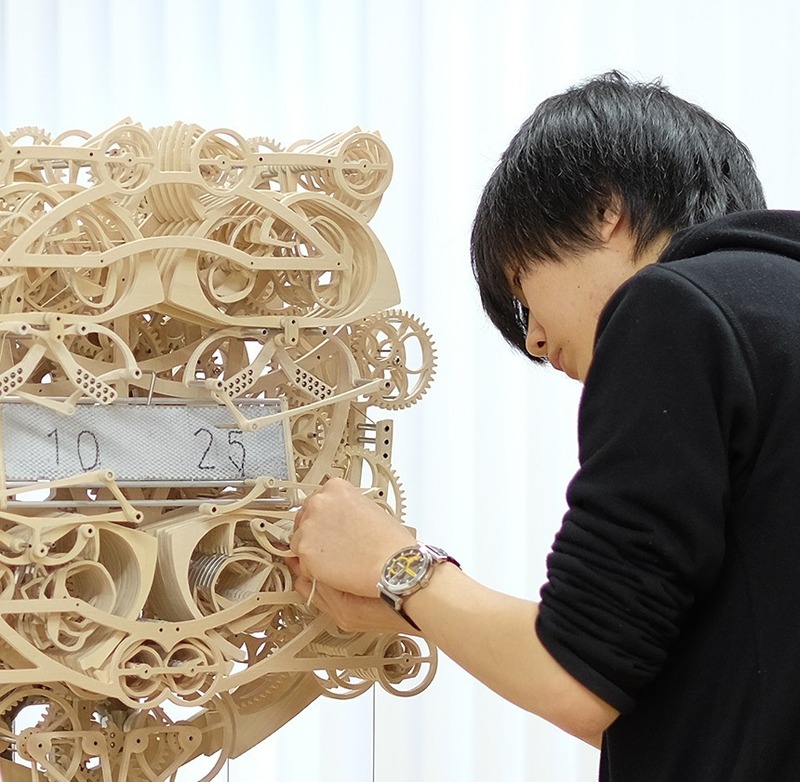 The piece is still “incomplete,” its creator says according to Yamagata News Online (Japanese), and he is still in the stage of final adjustments for the smooth operation of the gears. 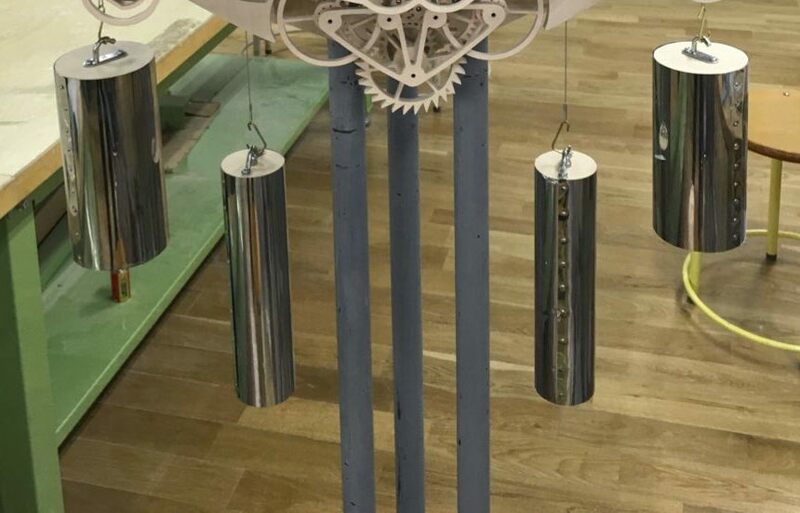 Once set in motion with the weights fully wound, the clock will run for one to two hours. Timekeeping accuracy is not known, but who has time to keep track of that?